Abbey joined Tax Management Services in November 2012. She works as an Investment Assistant and looks forward to growing in her role at TMS. Abbey graduated from NWTC with a degree in the Administrative Professional Program. 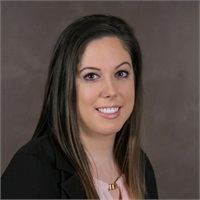 During tax season, Abbey helps with the behind the scenes work in order to give clients the best possible experience and great customer service while working closely with the Administration team. She can be one of the friendly voices you will hear when you call or visit our office. In her free time, she enjoys spending time with family and friends, traveling, and cheering on the Packers.